The CDC offers the following tips for Mosquito Control at home; Once a week, empty and scrub, turn over, cover, or throw out any items that hold water like tires, buckets, planters, toys, pools, birdbaths, flowerpot saucers, or trash containers. Use larvicides for mosquito control to treat large containers of water that will not be used for drinking and cannot be covered or dumped out. 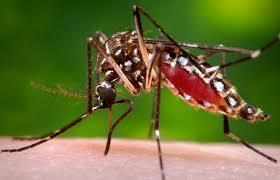 Mosquitoes rest in dark, humid areas like under patio furniture, or under the carport or garage. Help with mosquito control by Installing or repairing window and door screens. Do not leave doors propped open. Using air conditioning when possible will also increase mosquito control. Use an Environmental Protection Agency (EPA)-registered insect repellent with one of the following active ingredients. When used as directed, EPA-registered insect repellents are proven safe and effective, even for pregnant and breastfeeding women. *Insect repellent brand names are provided for your information only. The Centers for Disease Control and Prevention and the U.S. Department of Health and Human Services cannot recommend or endorse any name brand products.